A man has been charged with murder after a man was assaulted at a snooker hall. 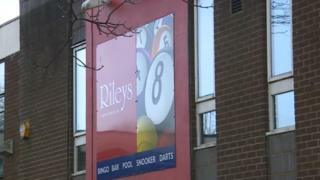 Patrick Redmond was taken to hospital following the altercation at Riley's Snooker Hall, Coventry earlier this week, police said. The 68-year-old died later from his injuries. Carl Pinder, 37, of Foster Road, Radford, was remanded in custody by magistrates in Coventry to appear at Warwick Crown Court on 6 March.